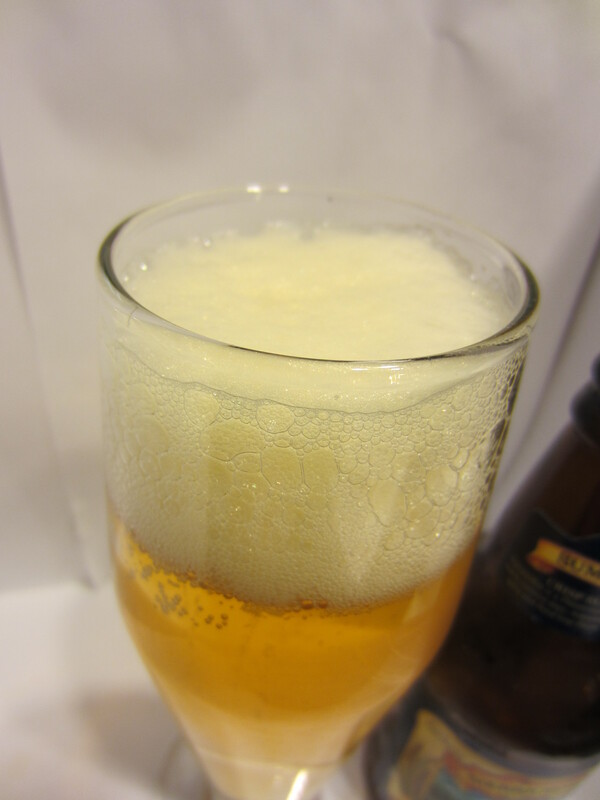 Poured from a 12 oz bottle into my pilsener glass. 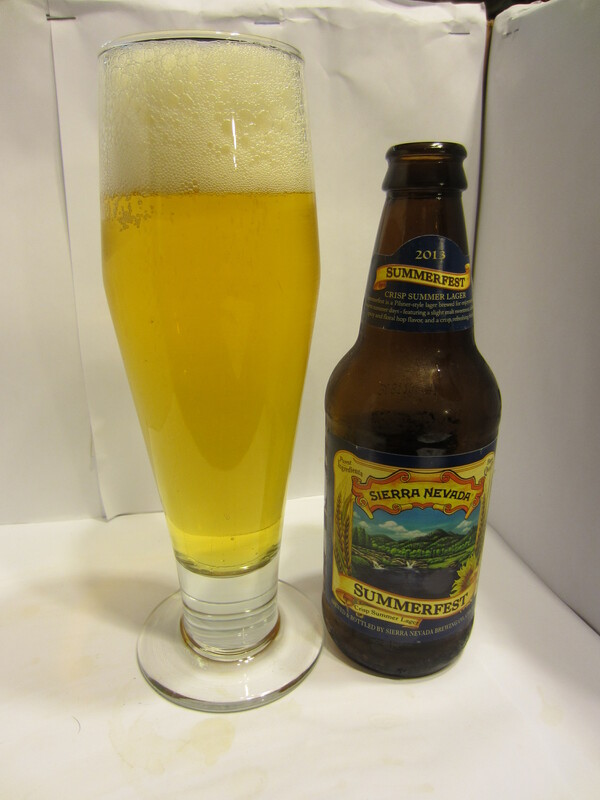 Summerfest is golden-yellow in color and pretty clear, with a white bubbly head that pours big and settles quickly. 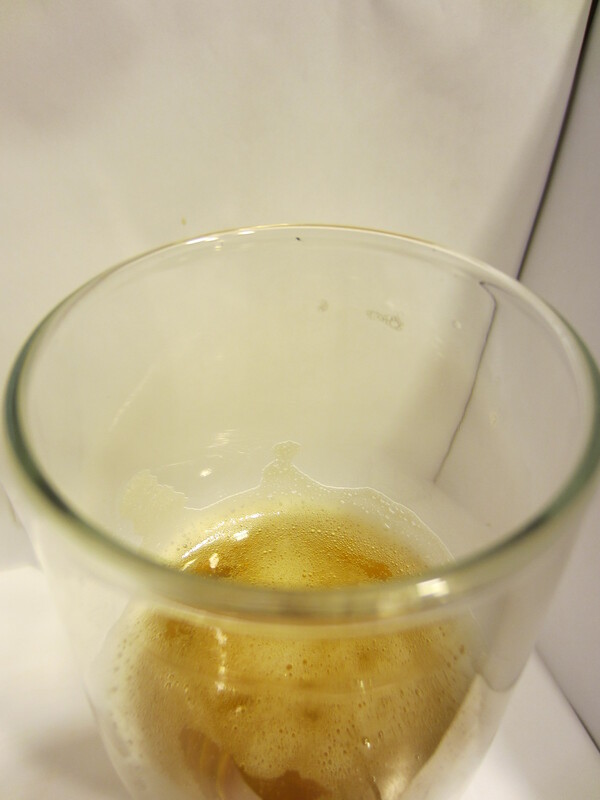 Lots of carbonation is visible, as expected from a lager. Minimal lacing is left on the glass. 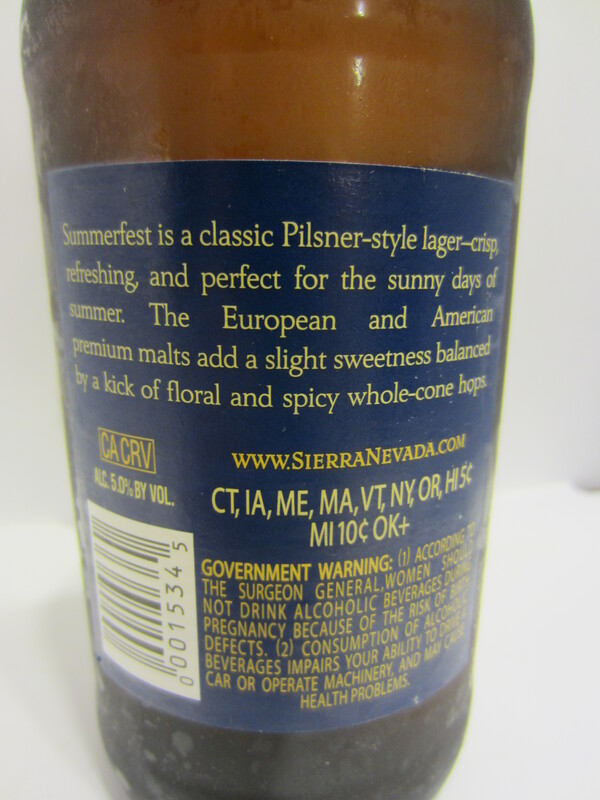 Mainly yeast characteristics, with a bit of the typical adjunct lager aroma, though not nearly as strong. There are also light citrus and spice notes. Thin-bodied and real easy going down. 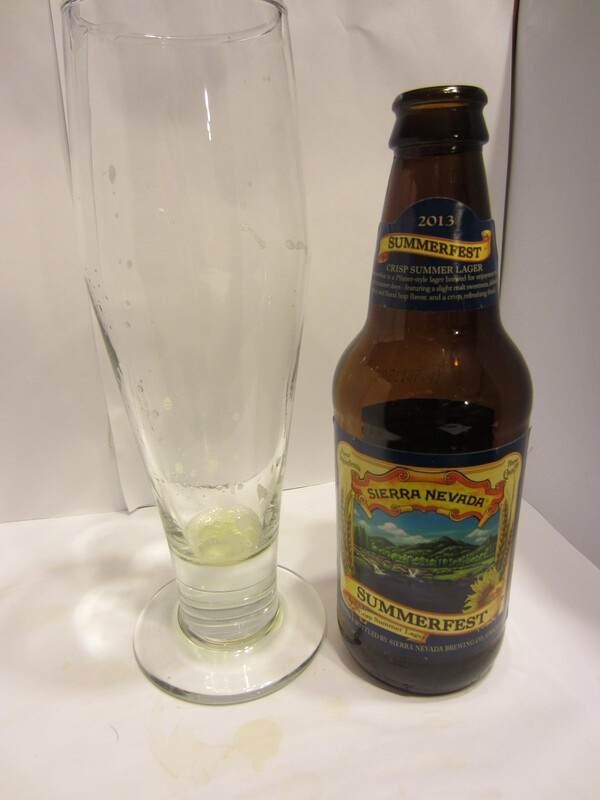 Not much flavor at all initially, with light aftertastes of hops, citrus zest, and grains. It finishes pretty crisp and dry, as labeled. My first real lager review! I was a little worried about reviewing a “true” lager, as I don’t regularly drink them, and my past experiences have been with the mass-produced macro brewery junk beers. 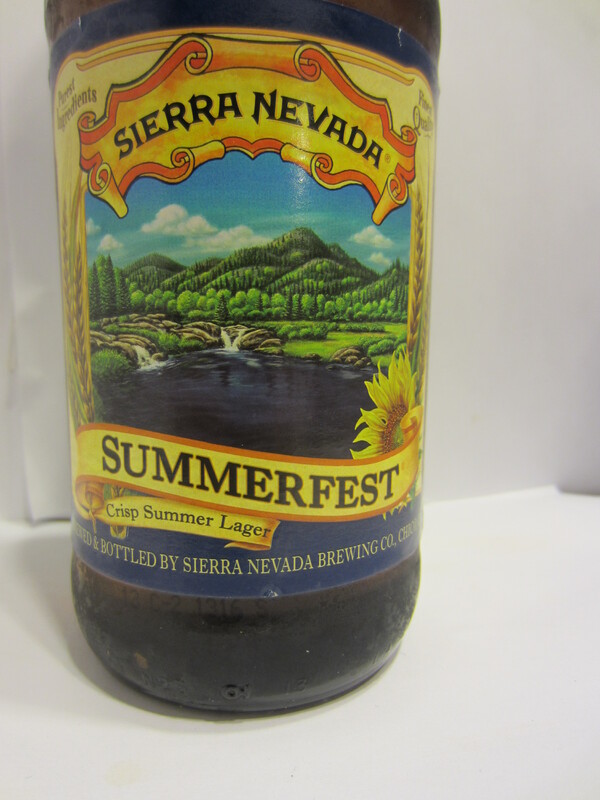 That said, Summerfest is very easy to drink, if somewhat lacking in flavor. The very light hops that come through in the aftertaste are pretty good, but too quickly give way to the the run-of-the-mill graininess. Not terrible, but certainly not my favorite. It isn’t offensive to drink, and we’ll have to see how it compares to other lagers in the future. The score may change to reflect that, but for now I guess it’s about a 5.5/10.